In order to function effectively, the law must be a paradigm of impartiality. When any aspect of the law begins to act on emotional responses, they cease to be a fair and effective tool of justice. As New Hampshire publication Union Leader puts it, “Over the past few decades, some of New Hampshire’s most horrific crimes were committed by minors.” Almost all of these minors were tried as adults. Many were sentenced to life in prison without the possibility of parole due to the gravity of the crime they committed. But this begs the question, why should children be tried as adults? The severity of a crime does not mean their mental faculties were any more developed than a child who commits a lesser crime. 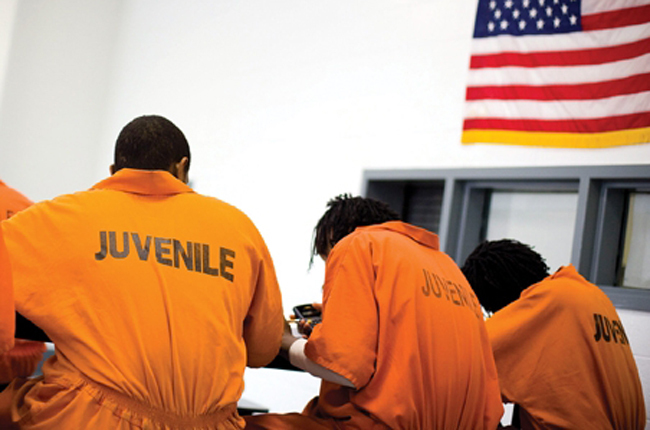 These decisions, sentencing minors to life without parole, fly in the face of the fact that adolescence is a time of neurological transition, with mountains of scientific evidence to support the notion that teens are subject to substantial limitations in judgement and maturity. These limitations persist until around the age of 25, when the pre-frontal cortex is fully developed. Until this time, teens use the comparatively “emotional” amygdala–part of the brain involved in experienced emotions–to process information and assess consequences. As academics at the University of Rochestor put it, “teens experience overwhelming emotional input, they can’t explain later what they were thinking, they weren’t thinking as much as they were feeling.” Scientists have openly suggested using information about the neurological limitations of minors to inform public policy. With resounding scientific agreement that age diminishes personal culpability for crimes committed by minors, there is a great deal of retribution to be paid by the state of New Hampshire to those sentenced to life without parole while they were children. A 2012 Supreme Court ruling found that life imprisonment without possibility of parole as a sentencing option for minors constituted cruel and unusual punishment. Now, some five years on, a number of such cases in New Hampshire are going up for review, including the cases of Steven Spader, Robert Tulloch, Robert Dingman and Eduardo Lopez. All four committed murder at the age of 17. Having recognized their lessened culpability and greater capacity for change, the state is reconsidering the overbearing nature of their sentencing. Generally, it seems, the older the child is when they commit a severe crime, the more inclined the state becomes to turn a blind eye on the needs of the child. When a minor commits a crime, such as theft, vandalism or driving intoxicated, the goal is not to carry out iron-fisted punitive action. Rather, the goal of law enforcement is rehabilitation of the minor. Why is it that children, who commit more serious crimes and are arguably in even greater need of rehabilitation, the ones who are denied it? The grandiosity of sentencing is arguably an emotional response to the severity of the crime. A sentence of life without parole takes a dark perspective on human redeemability. The outlook seems even grayer when the state tells a child that they will be punished for a crime they committed until the day they die. Eduardo Lopez, who fatally shot a man during a robbery at the age of 17 in 1991, saw his case reviewed in court last month. He tearfully apologized to the victim’s family in court and to his own, telling them he was no longer the “punk kid” who committed the crime, adding that he was “not a monster.” The court is recommending a new sentence of 51 and a half years for Lopez. If you have been accused of crime in New Hampshire, contact a New Hampshire criminal defense attorney immediately to begin building a defense and fighting your charges. At Tenn And Tenn, P.A., we put your rights and interests first, always. Contact us online or at 888-511-1010.